I've got my hands on the new Allison & Busby catalogue and one of the long awaited delights in it is Martin Edwards's new book in his Lake District series: The Serpent Pool. The cover below is from the US edition, published by Poison Pen Press and which is also published in February. Synopsis: DCI Hannah Scarlett is determined to uncover the truth behind Emily Friend's mysterious drowning in the Serpent Pool. But Hannah's distracted by a new sergeant with a troublesome reputation, a new house, and new cause to doubt her partner--second hand bookseller Marc Amos. One of Marc's best customers has been burned to death in the converted boathouse filled with priceless books. Then Hannah meets Louise Kind, sister of the historian Daniel Kind, who has just returned from America to work on a book about Thomas De Quincey and the history of murder. How are all of these elements related? Swedish inspector Kurt Wallander investigates an attack on an elderly couple. David Warner narrates and he also plays Wallander's father in the BBC tv show Wallander. The BBC Radio 7 page is here. 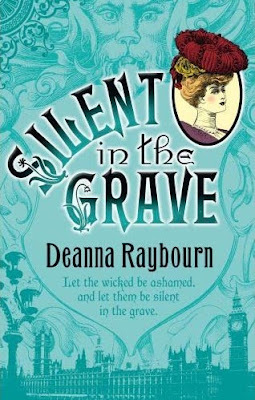 Mills and Boon have several novels available for free download and amongst them is the historical mystery Silent in the Grave by Deanna Raybourn. (Reviewed here on Euro Crime). It looks to be available in several formats. Visit this Mills and Boon website to get your free book(s). There are two competitions running in September. One is for 2 children's adventure-thriller books by Andy Briggs and is open to the UK, and the other is for A Visible Darkness by Michael Gregorio which is open world-wide. Details on how to enter can be found on the competition page. and Geoff Jones reviews The Captain's Table by Brian Thompson the second of the Bella Wallis series, which is set in Victorian England. The whole review, written by Pat Austin, can be read here. I've been asked by the CWA to remove the shortlist I posted earlier today as it pre-empted the official announcement which has not been checked etc. I'll repost the list once the press release has gone out, which will hopefully be tomorrow. On 4 March 2010, Jo Nesbo's seventh Harry Hole book, The Snowman, translated by Don Bartlett, will be published in the UK. Synopsis: The night the first snow falls a young boy wakes to find his mother gone. He walks through the silent house, but finds only wet footprints on the stairs. In the garden looms a solitary figure: a snowman bathed in cold moonlight, its black eyes glaring up at the bedroom windows. Round its neck is his mother's pink scarf. Inspector Harry Hole is convinced there is a link between the disappearance and a menacing letter he received some months earlier. As Harry and his team delve into unsolved case files, they discover that an alarming number of wives and mothers have gone missing over the years. When a second woman disappears Harry's suspicions are confirmed: he is a pawn in a deadly game. For the first time in his career Harry finds himself confronted with a serial killer operating on his turf, a killer who will drive him to the brink of insanity. A brilliant thriller with a pace that never lets up, "The Snowman" confirms Jo Nesbo's position as an international star of crime fiction. a Dahl-esque adventure full of wonderfully weird characters and inventions from bestselling international thriller writer, Jo Nesbo, writing his first book for children. Translated from the original Norwegian, where it was the biggest selling children's debut ever. Illustrated throughout by Mike Lowery. End of Event - 8.30/9pm. The evening will consist of a short reading, a brief Q&A with each author followed by 'Any Questions' with the audience at the end of the session. Then a signing session. This is a FREE event but registration is ESSENTIAL. Please contact Anita, Ben or Chris at Waterstone's Kingston on 020 8974 6811. For one night only, all books of the attending authors will be 3 for 2, both new titles and backlist. Waterstone’s with Crimesquad.com invite you to ‘Kingston Killers’, an evening of murderous chat, Q&As and book signings with a host of crime authors; established names like R J Ellory and Ariana Franklin, and acclaimed newcomers including Swedish writer, Johan Theorin. 3 for 2 on all participating authors’ titles. Free event, but phone reservation essential. I've finished this enjoyable tale at the weekend and I'll be reviewing it for the website very soon. The Gigolo Murder is the third in the Hop-Ciki Yaya series after The Prophet Murders and The Kiss Murder. The author, Mehmet Murat Somer, was kind enough to answer a few questions last year on the blog. Superhandsome Haluk was pale when he returned. Even in the dimly lit room, it was clear the color had drained from his face. "That was Faruk on the phone. He's been arrested for murder." We both looked at him in astonishment. "I don't understand," gasped his wife, Canan, who was dressed as a stylish Nisantasi girl. "On suspicion of killing a minibus driver." He looked at me apologetically as he spoke, sorry for having ruined what had promised to be a pleasant evening with this news. That's how it all started. While my dear friend Ponpon was on-stage, putting on a sensational show at one of the trendiest, hippest, and priciest nightclubs in Istanbul, yet another murder fell right into my lap. My passion for amateur sleuthing was suddenly inflamed, my stomach full of butterflies. Top crime writers discuss their craft, including Sophie Hannah (The Other Half Lives), Roy Mitchell (creator of BBC One’s New Tricks), Stav Sherez (The Black Monastery) and Dan Waddell (Blood Atonement). St Michael & All Angels Parish Hall upstairs. Refreshments available afterwards. Admission by Sunday Day Pass. If (like me) there was too much on last night to watch/record then you can catch the first episode of Trinity on ITV2 on Wednesday at 9pm, though it's not available on the ITV player. You can also watch the second episode at the Trinity website before it's showing next Sunday at 10pm on ITV2. Set in the gothic, oak panelled halls of residence and lecture theatres of the fictional Bridgeford University, Trinity College, the ITV2 eight part series brings a whole new meaning to the phrase "first term nerves". For over 900 years, Trinity has been an elite playground solely for the über rich and powerful. However, for the first time in its long and illustrious history, Trinity is about to throw open its doors to the hoi polloi! As new girl Charlotte and her fellow students settle in, they begin to realise that all is not what it seems at Trinity. Beneath the glamorous veneer of wealth and privilege lurks a much darker world, ruled by the mysterious Dandelion Club: a select group of over-privileged students used to getting their own way. and Maxine Clarke reviews Dutch author, Esther Verhoef's English translation debut - Close-Up concluding with "if you like your crime fiction suspenseful, erotically romantic, tense and pacy, this is definitely a book for you". I've been over to Hay on Wye today. Unfortunately the crime section in Richard Booth's shop is still roped off whilst renovations are in order however I did manage to pick up a gem in the specialist crime bookshop Murder & Mayhem: one of Swedish author Maria Lang's three novels translated into English - No More Murders (translated by Joan Tate) which was published in 1967. Maxim Jakubowski, writer, editor and former proprietor of crime bookshop Murder One, is to launch a new crime fiction imprint, maXcrime, for John Blake Publishing in March. Nine maXcrime titles will be published in 2010, all mass market paperbacks priced at £7.99, in what is described as a "commercial" but very varied list, covering hard-boiled, historical, cosy, women-oriented crime and crime in translation. The lead title for 2010 will be Hit by Tara Moss, Australia's biggest-selling crime writer, which will launch the imprint in March alongside a crime novel by film director Mike Hodges. Moss, who sells in 20 languages and is a six-foot ex-model described in the maXcrime catalogue as "the most glamorous author in crime fiction", was an obvious purchase, says Jakubowski. "She's never been published in the UK, and I've never understood it." Hit is one of a series of five and maXcrime has the option on the other titles. Also on the 2010 list is an Italian serial killer bestseller, The Girl with the Crystal Eyes by Barbara Baraldi (May), and a debut by a writer described as a Scottish Janet Evanovich, Donna Moore's Old Dogs (April). NB. Old Dogs is Donna Moore's second book, her first being Go to Helena Handbasket. 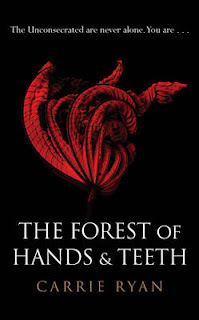 This is another recent example of an excellent young adult novel (which due to the zombie content is also filed in adult horror in my library) and I recently reviewed on my teenage fiction blog. Chatto & Windus ... have acquired Or the Bull Kills You - a stunning detective novel by Jason Webster, author of the acclaimed books on Spain, Duende and Sacred Sierra. ...a two-book world rights deal, together with the second book in the series featuring the flawed and wonderfully realised Chief Inspector Alfredo Crespo. Set in Valencia (where the author lives) in a world of bullfighting, drugs and corruption, Or the Bull Kills You is intelligent, gripping detective fiction, in the tradition of Michael Dibdin. The first novel shows Crespo struggling to solve the mystery of the violent death of Spain's leading matador amidst the shifting sands of corruption in the sport and the lethal local politics of his adopted home city, Valencia. Chatto & Windus will publish Or the Bull Kills You in February 2011. Maxim Jakubowski, publisher, author and bookseller, is poised to embark on a new venture. He is to launch a new imprint at John Blake Publishing, where his list will be called Max Crime. One of the titles will be the eagerly awaited second book from Donna Moore, called Old Dogs. Donna's first book, Go to Helena Handbasket, is reviewed here on Euro Crime. There are two competitions running in September. One is for 2 children's adventure-thriller books by Andy Briggs and is open to the UK, and the other is for A Visible Darkness by Michael Gregorio (reviewed below) which is open world-wide. Details on how to enter can be found on the competition page. and I recently reviewed (on this blog), the audio book version of The Miracle at Speedy Motors by Alexander McCall Smith. Crime writer Val McDermid listens to recordings made by Agatha Christie which have never before been broadcast. A panel of guests, including dramatist Kevin Elyot, biographer Laura Thompson, archivist John Curran, who has recently deciphered Christie's notebooks, director Enyd Williams and writer Michael Bakewell, discuss their approach to dramatising her novels for TV and radio and the light that these recordings shed on Christie's working methods. I've just set up another competition for September which has arisen via my teenage fiction blog. 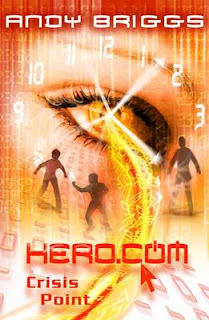 The prize is a set of the latest two books in the Hero.com/Villain.Net series by Andy Briggs. These are aimed at nine years old and upwards but of course can be read by anyone (or make great gifts!). This competition's open to UK residents only. Details on how to enter are on the competition page on the Euro Crime website. Rupert Penry-Jones, Phil Davis and Steve Pemberton will reprise their roles as Chandler, Miles and Buchan, to solve a series of copycat murders reminiscent of crimes committed by the infamous Krays. 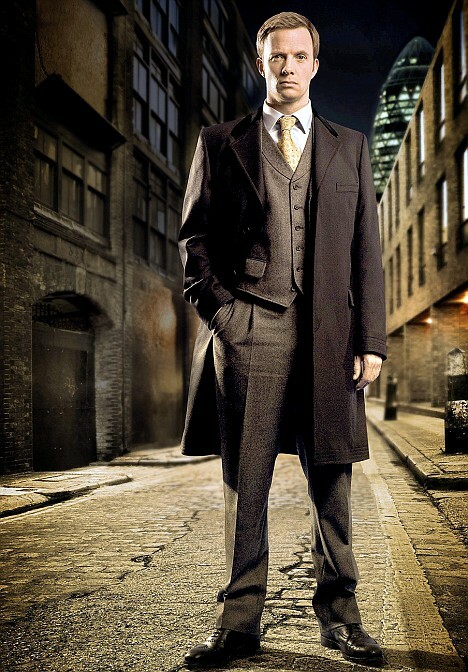 ITV's Director of Drama Commissioning Laura Mackie, says: "Whitechapel II will be full of the history, texture and detail that gave the first series a distinctive personality. "It will be as audacious and compelling as the first series, strengthened by further character development and very real personal jeopardy. We're delighted to be commissioning more episodes following the success of Whitechapel I." Pre-production begins in autumn 2009. To tie in with the publication of Val McDermid’s first novel with her new publisher; Little, Brown are today Thursday 10 September launching Rigmarole, the social networking site featured in her new novel Fever of the Bone. Val’s many fans who follow her current website have been invited to join on their e-newsletter, which has at the very least 4,700 loyal subscribers. 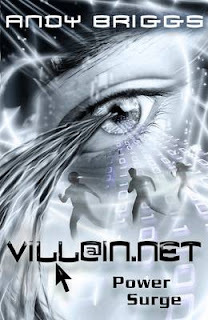 The site is intended to be a place where Val’s fans feel at home and they will be encouraged to populate the site and interact with it and start using it as their social network. All the victims from the book are on the site and are ‘played’ by various members of the Little, Brown marketing team. Upon publication, the killer will also be introduced to the site. A review of Fever to the Bone will be available on Euro Crime very soon. Regular blog visitors may know that I'm a huge fan of audio books and I always have one on the go. Currently it's Dead Line by Stella Rimington, narrated by Maggie Mash. So I was very chuffed to be asked by Whole Story Audio Books to be a guest reviewer. My bio is now online with links to my review(s). Cold in Hand by John Harvey. My previous blog posts on audio books, including reviews, can be found here. which are the first three in the series. Carola Dunn's bibliography is here. Ian Rankin's bibliography can be found here. More multi-titled sets can be found here including the Martin Beck series by Sjowall and Wahloo for £9.99. P & P is free when you spend over £25. Quercus is pleased to announce that crime writer Laura Wilson, winner of the 2008 Ellis Peters Award for her novel Stratton’s War, has moved to them from Orion for her next two books in the D.I. Stratton series. The books feature a London detective working in the West End during the 40s and 50s. Quercus will publish Austerity, a novel exploring the notorious Christie case, in 2010. The agent is Jane Gregory. Laura Wilson said: I had a very happy ten years being published by Orion, who were incredibly supportive. I’m sad to be leaving, but I’m absolutely delighted to be reunited with my original editor, the incomparable Jane Wood, at Quercus. Jane Wood said: I’ve published Laura since her first novel, A Little Death, appeared in 1999 and I’m thrilled to be working with her again The Stratton books are more than great crime novels; they chart the dramatic changes in people’s lives during and after the Second World War. We’re delighted to welcome Laura to the Quercus list. Read more about the Daggers and other shortlists at the CWA website. Wallander may have vanished for a few months but the very good news is that the second series of Spiral starts next Sunday. The BBC4 website seems to be timing-out - no doubt as fans of Spiral click on it. I'll update this post when I can get through! When a charred corpse is found in the boot of a car in the suburbs, Berthaud's police team are called to the scene along with the prosecutors Roban and Clement. So begins an investigation which forces the team into the broken, gang-ruled suburbs of Paris, and once more to the door of shady lawyer Josephine Karlsson. Ten episodes of Wallander were recently broadcast on BBC Four. The remaining three episodes will be shown over the Christmas period. Exact transmission dates/times will be available from mid-December 2009, and we'll publish the information here when confirmed. I'm a Publishing Masters student based in London. I'm writing a dissertation on translated crime fiction. As part of my research, I have created a reader survey. I am wondering whether you would be willing to flag it up on your blog. The survey is quite painless and will only take a couple of minutes. This is the website to enter your answers. 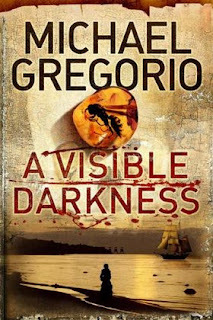 September's competition prizes are 5 copies of A Visible Darkness by Michael Gregorio. This month, the competition is open world-wide. Just answer the question and the tie-breaker to go into the draw. Details on how to enter can be found on the Euro Crime website Competition page. The Miracle at Speedy Motors is the ninth in the Mma Ramotswe, owner of Botswana's No. 1 Ladies' Detective Agency, series. This time around Mma Ramotswe has the problem of who is sending her anonymous spiteful letters as well as tracking down the family of an orphan whilst associate detective, Mma Makutsi's problems are more domestic. As usual this was a delightful listen, taking the listener straight into Botswanan culture and how people there are linked together; a story of family, friends and a country, hung over a framework of problems to solve. In the main, all ends happily though the author doesn't take the easy route with a matter concerning Mma Ramotswe's family. I enjoy this series more with each passing book and have already ordered the next one, Tea Time for the Traditionally Built. Adjoa Andoh has recently taken over the narration duties from Hilary Neville. Whereas the latter had a subtle way of distinguishing between the characters speaking, the former gives the characters much more easily identifiable voices. And, whether this is coincidence or not, to my ear her Mma Ramotswe does sound quite similar to the tv version of Mma Ramotswe played by Jill Scott. The Euro Crime bibliography page for Alexander McCall Smith is here. Specsavers, Cactus TV and ITV3 in partnership with the Crime Writers’ association (CWA) are pleased to announce they will join forces to celebrate the Specsavers Crime Thriller Awards 2009. Following the success of last year’s naugural event on ITV3, the 2009 event will be merged with the Crime Writers’ Association Daggers and the new combined “Specsavers Crime Thriller Awards on ITV3” will take place on Wednesday, 21st October, 2009. The exciting new partnership is a 3 year deal between the four parties. The initiative has the support of leading publishers and high street retailers and will have posters and stickered books in shops and supermarkets and coverage in the press, reinforcing the Specsavers Crime Thriller Awards as a major industry event. The culmination of a six-week season of ITV3 crime and drama programming, the Specsavers Crime Thriller Awards (“Daggers”) will be a glittering occasion at London’s Grosvenor House Hotel. The awards ceremony will celebrate the crème de la crème of Crime & Thriller fiction with awards focusing on the best of British and International crime thriller novels. Literary Awards presented will include the CWA Gold Dagger for best crime novel of the year, the CWA Ian Fleming Steel Dagger for best thriller, the CWA John Creasey (New Blood) Dagger for a new author of note, and the Hall Of Fame Dagger, which honours the achievements of the genre’s greatest exponents, past and present. In addition, the evening will introduce a brand new award – the ITV3 Bestseller Dagger, sponsored by Specsavers – voted for by ITV3 viewers. The Specsavers Crime Thriller Awards will also celebrate crime fiction off the page with awards focusing on the greatest crime and thriller films and TV dramas of the year – along with the actors who brought the characters to life. Each award of the evening will be presented by celebrity faces with a connection to the world of crime fiction. In the run-up to the glittering awards, ITV3 will broadcast weekly documentaries, profiling six of the greatest crime writers working today: Colin Dexter, Ian Rankin, P D James, Lynda La Plante, Val McDermid and Ruth Rendell. In 2008, the series reached 3.12m viewers. These documentaries will also highlight the shortlists for the new literary awards as well as interviews with the shortlisted writers for the ITV3/Specsavers Bestsellers Dagger. · The CWA Gold Dagger for the best Crime Novel of the year. · The CWA John Creasey (New Blood) Dagger – for first books by previously unpublished writers, awarded in memory of CWA founder John Creasey. · The CWA Ian Fleming Steel Dagger – for the year’s best thriller. · The ITV3 Bestseller Dagger, sponsored by Specsavers – voted for by ITV3 viewers. · The Hall of Fame – honouring the achievements of the genre’s greatest exponents, past and present. · The Film Dagger – for the best big-screen crime thriller story. · The TV Dagger – for the best small-screen crime thriller drama. · The International TV Dagger – for the best TV crime thriller drama from around the world. · The Best Actress Dagger – for the female star of a crime thriller drama. · The Best Actor Dagger - for the male star of a crime thriller drama. The shortlists for each of these award categories will be announced to the public on 4th September, 2009. The full press release can be read here (pdf format). I can't say I'm completely clear about what's going on but I'm sure it'll become more obvious once the shortlists are out in a few days time. I wonder whether the other Daggers such as the International one will be integrated into the mainstream in 2010?